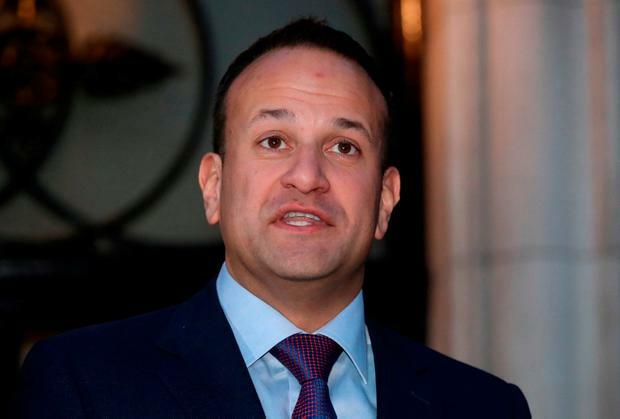 THERE will be a redress scheme for women who have been hit by the cervical cancer test scandal – but payments must await the result of a statutory inquiry, Taoiseach Leo Varadkar has said. Mr Varadkar was speaking during an emotionally-charged debate today, seven days after a High Court outcome revealed the case of Limerick mother Vicky Phelan. He confirmed that there will be a statutory inquiry into the controversial events at CervicalCheck - and he would look at a so-called redress scheme will be based on the outcome of that inquiry. Mr Varadkar offered no further details of the inquiry - or any resultant compensation scheme and a series of meetings would happen later today on these matters. The cases of all 3,000 women who developed cervical cancer in the last decade are to be examined before the end of May, he also revealed. The 3,000 cases will be examined by a team of international cyto-pathologists organised by the Royal College of Obstetricians & Gynaecologists. These include the 1,482 cases of cervical cancer already examined by CervicalCheck and another 1,500 whose cancer was notified to the National Cancer Registry. Hundreds of these women have already died. The Taoiseach also defended a decision by Health Minister Simon Harris to allow HSE boss Tony O’Brien to take up a lucrative board membership at a US contraceptive firm in addition to his HSE role. Fianna Fáil leader, Micheál Martin, said this had a built-in potential for conflict of interest and the job of heading the HSE was enough for anyone. Sinn Féin leader Mary Lou McDonald again called for the immediate sacking of Mr O’Brien and she accused the HSE bosses of a deliberate cover-up to protect their own interests and those of the State. The Taoiseach said the Government was still only getting the facts surrounding the problems at CervicalCheck which had operated since 2008. He pointed out that last night the Health Minister Simon Harris was left in an “unenviable position” in the Dáil chamber having been handed new information just minutes before he began answering TDs’ questions. This revealed that 1,500 more women were at risk from cervical test errors bringing the total to just under 3,000. “I would ask for the time and space to allow us to establish all the facts. There is an old piece of wisdom which says: ‘Act in haste and repent at leisure,’” the Taoiseach said. Mr Varadkar said he had been personally very upset by the revelations but he wanted to reassure women that nobody was going to suddenly find out they had an undetected cancer as a result. “Nobody is going to get a phone call or a letter in the next few days telling them have cancer and the details were kept from them,” the Taoiseach said. Mr Varadkar also defended the decision to allow Mr O’Brien take a board seat on the San Diego-based firm, Evofem Biosciences. He said the HSE boss was leaving his job in 12 weeks time; there was no conflict of interest because the firm do not deal in Ireland; and Mr O’Brien was taking the post at his own expense and doing the work in his own time.